We propose to change our league play such that it operates on a team basis and you are drafted onto a team for the season – for scoring and prize purposes only. You will play with whoever is there on any given day – that part will not change. There will be points won every week for the team, based on a formula of 2 low gross and 4 low net scores. The system does its own handicapping based on the scores submitted. 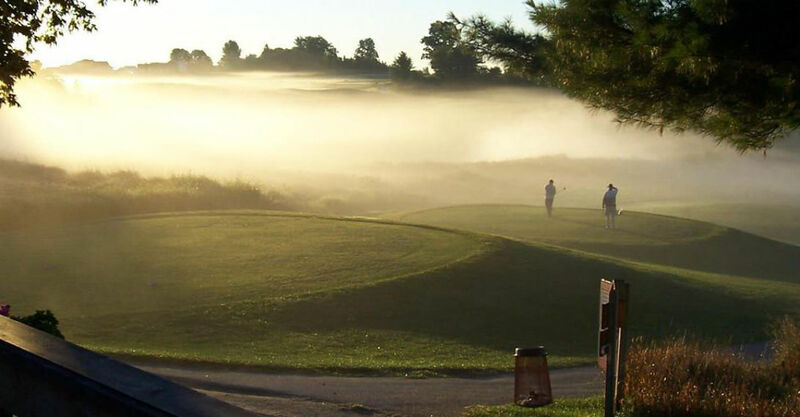 We still encourage you to keep a Golf Canada handicap for other club competitions. The team size will be determined based on the commitment to this new system. How does this start? We will host a draft evening where you will be invited to the clubhouse for some entertainment and the draft process. We will pre-select captains. The team sizes will depend on the number of people who commit initially to the concept. People can join later in the process and will be allocated to a team on a rotating basis that will be set on the draft evening. Golf is social connections. The challenge for golfers is to have playing partners who they can call to get out to play. Traditional men’s and ladies’ leagues are challenged to be relevant to the new player who is looking for a social connection as well as a game of golf. By moving to teams, we believe we are going to be able to provide a better atmosphere of “belonging” at our club. They will instantly be part of a smaller group that is part of the larger group. They will have connection with 6 or 7 players with whom they share not only the golfing bond – but also the social bond that they can join their team for dinner and other rounds during the week. This social engagement is missing from our current format. Do I have to change when I play? No. If you just play your normal game and let the chips fall, you will be entertained with the results, will get to meet new people who you likely did not know before we started this blending process, and might just come out with a few more shekels in your account than you might have in the past. Actually, nothing changes about when you play or your playing partners. This remains the same. We hope to integrate our Thursday Seniors with our Men’s Night crew to have combined teams. This gives both groups the option of playing any time on Thursday, with the normal restrictions that there have to be at least 3 players in any scoring group – not from the same team. The scoring has to be beyond reproach. We will alternate 9’s every week. You will play from your normal set of tees, and your handicap will recognize this when we enter your score. We will use www.golfscoring.net and you can look at the accolades on their website. There too many to list here. Safe to say, it is a well tested concept and comes with reliable software. The support and reporting to you of the results can be as handy as your cellphone or computer. The week’s results will be on our website and will rotate through our display over our check-in area. Only we can enter the scores. It is done hole by hole – and we are committed to putting them into the system immediately. They will be on the screen above the check-in immediately. The scoring is allocated by team – winners get 10 points, and every team gets 1 point per player who submits a scorecard for that week. Will there still be hole contests? There will still be contest holes on as many holes for which we can obtain sponsors. These contests will start in the morning, and finish after the last group has played at night. Prizes will be distributed within 48 hours or on your next round of golf. Winners will be posted on our website for easy reference – and a little swagger!! There will be optional skins every week – awarded that night. There will still be the circle hole on the 9 that is counting that day. The prize pool will be decided weekly and there will be a season long contest as well. Will your score count? Given that 4 of the scores will be net of handicap, you stand every chance of having your score count – as long as you are playing as well as, or better than, you normally play. Your handicap will adjust with your better play – upping the ante for your next round. That is golf!! The cost for all of this enjoyment is $11 per week, with $7 per player going back out weekly, $3 per player going into the season-long pool, and $1 going towards the scoring. The cost is reasonable – $7 for the week contest ($1 to the circle hole), $3 for the season long prizing, and $1 for the scoring component. The prize pool will be determined by the number of players and we will not know this until we have our draft night. The math is simply $9 x number of players that night – with the allocation above, plus $1 per player for the circle hole. Example – between the 2 groups, we have 40 players. Weekly Pool – 40 x $6 = $240 – this will be awarded to the winning team. If we have 8 players, then you would have 30 Highlands Bucks credited to your account here – for spending on whatever you choose. These funds can accumulate until such time as you decide to spend them. Where can I see the winners ? Our website will have a link to the weekly and year-to-date leaders. Every league will have its own page under the League Play sub-heading. With whom do I play? This will remain the same. Whether you are playing in the morning and drawing a card from the deck, or in the evening with pre-arranged foursomes, this need not change. We hope you will be able to socialize with your team at some point. Participation counts – so it is good to encourage your team members to play at some point that day. There has to be at least 3 people playing together for the scores to count.